Ten years ago this month, Motorola was still riding the wave of success created by the iconic RAZR handset. But they were finding it a struggle to find new products to capitalize on their surge in popularity, with several devices that had been announced.. and then cancelled. However, in July 2005 we saw a trio of products being shown off that Motorola hoped would change things. Despite its popularity and radical design, the RAZR was simply a cosmetically different addition to the V500 range that Motorola had been making since 2003. 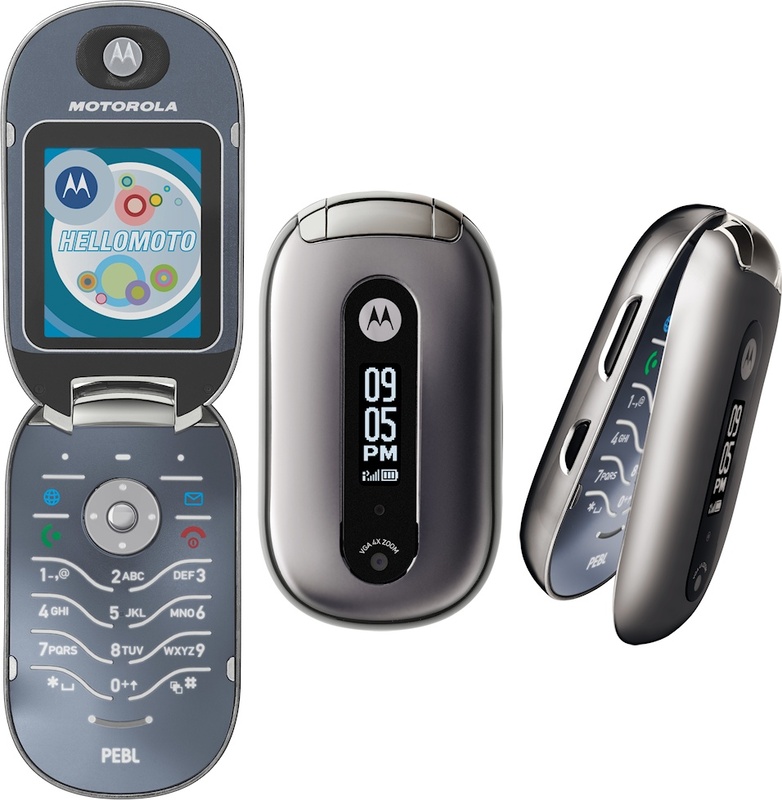 The Motorola PEBL also used the V500's underlying technology, but this time it came in an elegantly curved case that looked like a pebble. Inside the keypad was a flat affair inspired by the RAZR. Overall, the PEBL was a pretty limited device with support for 2G only, it had a little 1.8" 176 x 220 pixel screen and a 0.3 megapixel camera. The PEBL couldn't play music, but it did have Bluetooth. The PEBL had the same shortcomings as the RAZR, so was only a modest success. 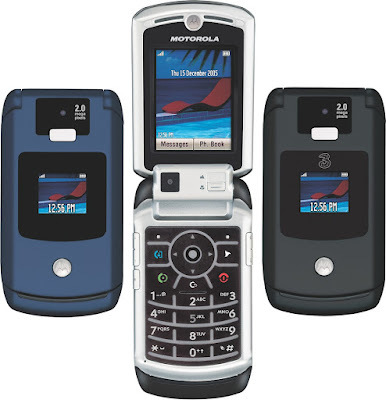 The Motorola "4LTR" phones (RAZR, PEBL, ROKR) are among the more collectible Motos and are readily available for a minimum outlay. The Motorola RAZR V3x had a confusing launch, at various points being called the Motorola V1150 and Motorola V3x (dropping the RAZR label). Despite some cosmetic similarities to the RAZR V3, the V3x was a very much more advanced handset with 3G, a music player, expandable memory and a two megapixel camera plus video calling capabilities. As with all 3G phones from that era, the V3x was a lot bigger and heavier than its GSM competition. The V3x was a niche success with 3G-only carriers such as the Hutchison 3 network. As with the PEBL, the V3x is readily available for not much money. 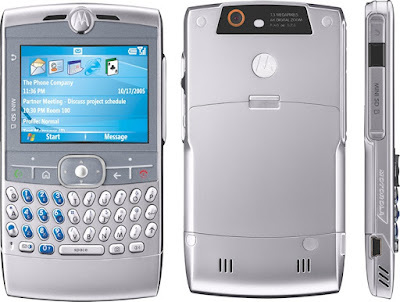 The Motorola Q (later called the Motorola Q8) attempted to take a bite out of the BlackBerry market. 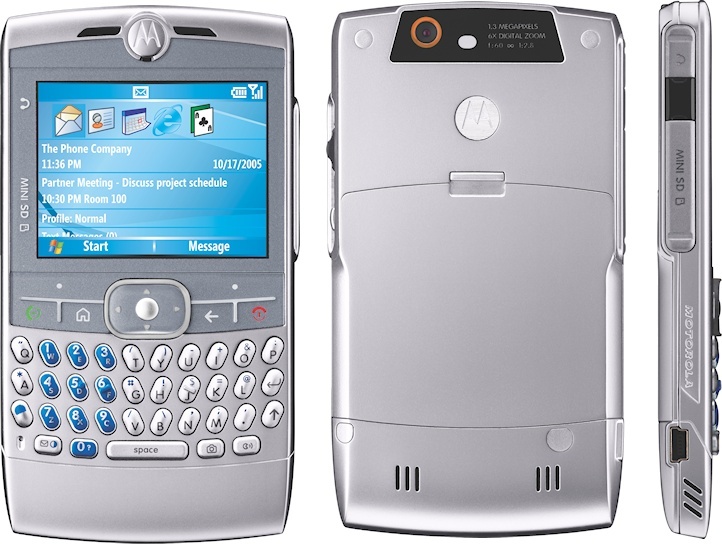 It was a Windows smartphone with a rather familiar looking keypad, and although not a huge success it did spawn a couple of sequels with the Q9h in 2007 and Q11 in 2008. It's hard to remember now, but BlackBerry was becoming a seemingly unstoppable force at the time, and rivals could not compete with the quality of their push email service. After all, why buy something that wasn't as good as a BlackBerry when you could just buy a BlackBerry. The GSM version of the Q8 is very rare today, however the CDMA version is commonly available, but won't work outside the US.